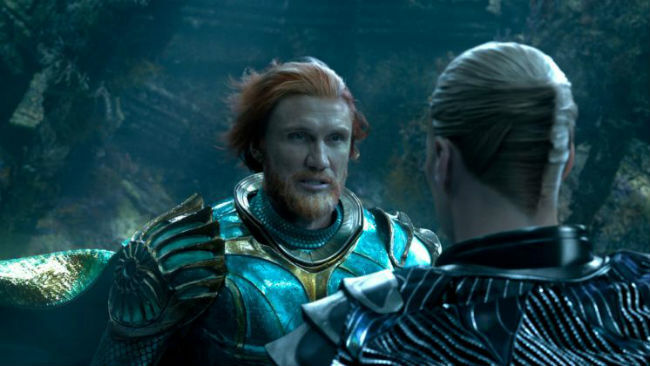 Prominent in these new images is Dolph Lundgren as King Nereus, sporting a truly magnificent ginger beard and hairstyle that quite frankly deserve a throne all their own. Wow, this is just so awesome. What a year for our guy! Let's just enjoy and appreciate it for what it is and the time being regardless of the future of his career! Both projects almost came out of nowhere and I've lived enough years to tell nobody was expecting that kind of comeback and appreciation for him as an "actor"/"thespian"...! Dolph is getting what he deserves. He has tons of charisma for king, coach, military man, ancient warrior type of roles unless Van Damme who is just a karate guy. preacher wrote: Wow, this is just so awesome. Money talks brother. Dolph is going to be in back to back successful theatrical films. I think his future is very bright... I am wayyy more positive about it than I ever was bout the Expendables saga career wise. I think the business this film is going to do will def. make up for that. Week minus 2 for me (yeah, at least on of Dolph's movie will be released in france before it's US date). Ahead of Aquaman's arrival in theaters later this month, CBR has an exclusive look inside The Art and Making of Aquaman, a 178-page hardcover filled with concept art and commentary on the film from its creators and cast. The first spread from the book details the Ring of Fire, the film's big gladiatorial fight scene which pits Aquaman against his half-brother Orm for control of Atlantis. 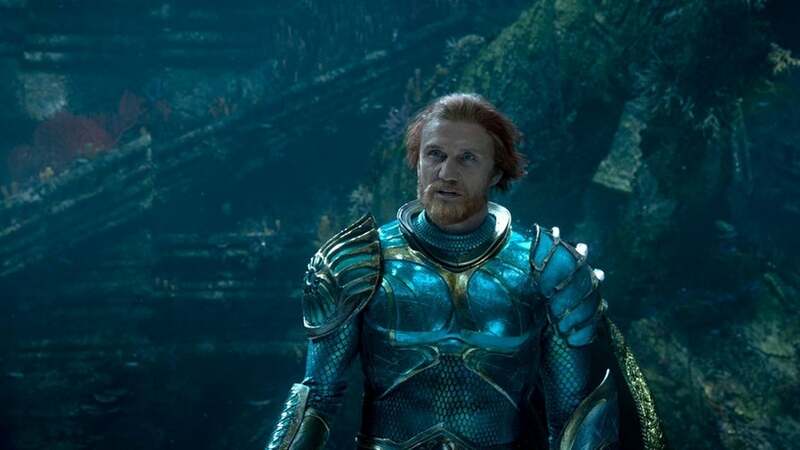 The sequence takes place in an active underwater volcano (hence the name), fitting both Aquaman and Ocean Master in special gladiator armor. The second excerpt from the book showcases the film's massive seas dragons, the underwater animals ridden by Atlantis' military. 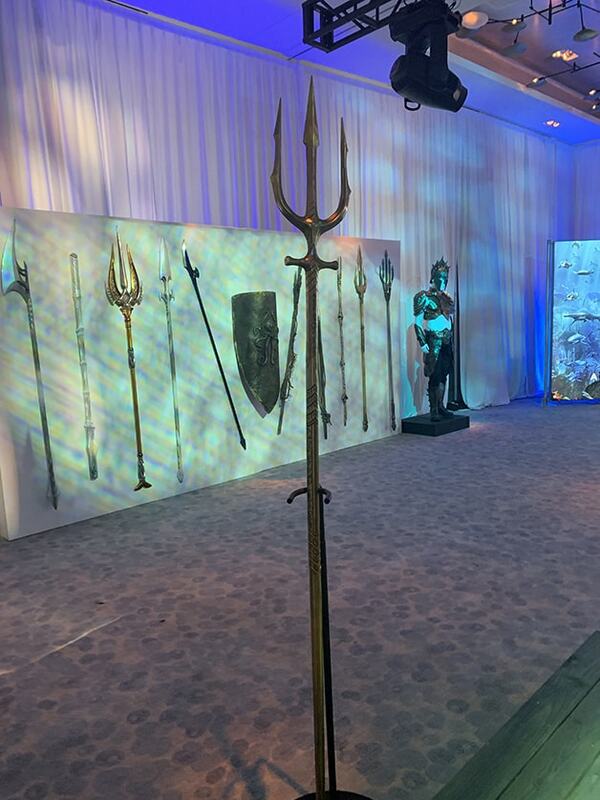 As you might have suspected, the creatures were inspired by the giant sea horse Aquaman rode in older comics, as well as the classic DC superhero cartoons. According to Visual Effects Supervisor Kelvin McIlwain, director James Wan had a very clear vision for the dragons, and thus the design was settled on early in the moviemaking process, allowing the creative team to focus on fleshing out the rest of Atlantis' architecture, fashion and creatures. The Art and Making of Aquaman arrives in stores December 21 from Insight Editions. The oversized hardcover comes with a suggested retail price of $45.00. WB has been pushing the movie hard in what will soon be the biggest moviegoing marketplace, and thus far it seems to have paid off. 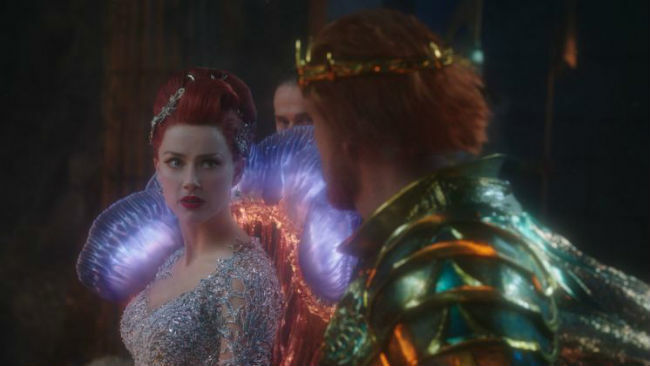 The James Wan-directed underwater adventure earned $1.19 million from preview screenings. That’s the second-biggest preview number ever for a DC Films flick behind Batman v Superman: Dawn of Justice ($1.35m for a $20m opening day) and just over/under the likes of Thor: Ragnarok ($1.2m for a $16.3m Friday), Justice League ($1.1m for a $15.3m Friday) and Guardians of the Galaxy Vol. 2 ($880k for a $15.4m Friday). 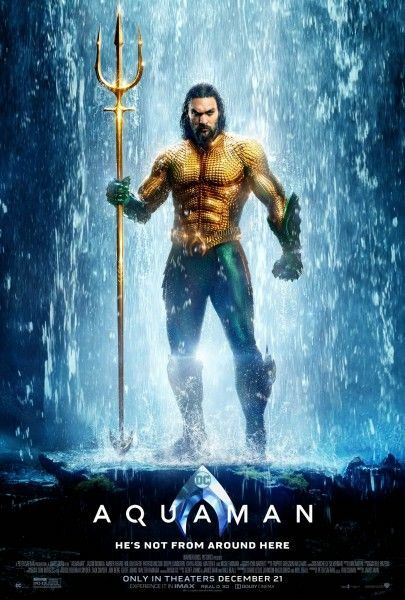 Warner Bros/DC’s Aquaman took his first strokes in China today, grossing an estimated $24.6M (RMB 169.5M). The studio has been pulling out the stops locally as the Middle Kingdom is launching the Jason Momoa-starrer two weeks ahead of its domestic release. The DCEU has not had the draw in China that the Marvel Cinematic Universe has enjoyed, but Aquaman is poised to hit a high-water mark for the DC brand with a possible $80M+ debut weekend.